Bicycles are a widely used form of transportation in Tokyo, Japan. However, parked bicycles take up a great deal of public space that could otherwise be used for pedestrian foot traffic. 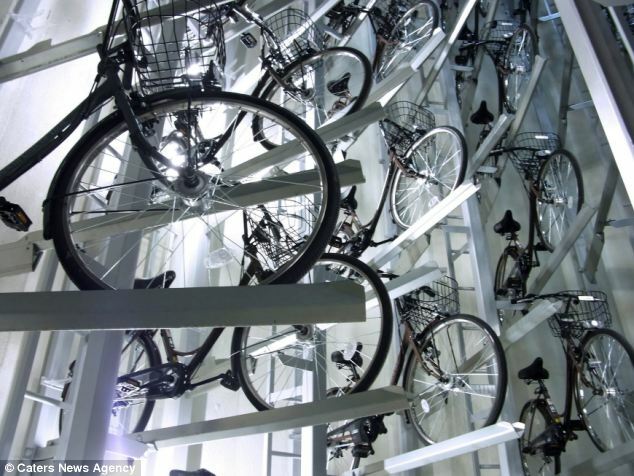 A shortage of bicycle parking spaces leads to illegal parking and further congestion. 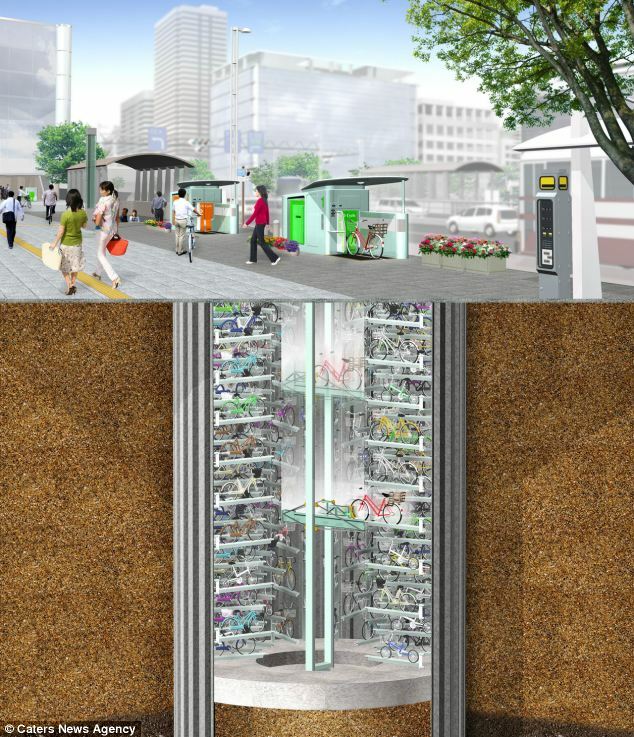 To address this problem, a construction company called Giken has designed a automated storage system which quickly stores bikes underground. To retrieve a bike, one simply swipes a card, and their bike is delivered to them in about 13 seconds. 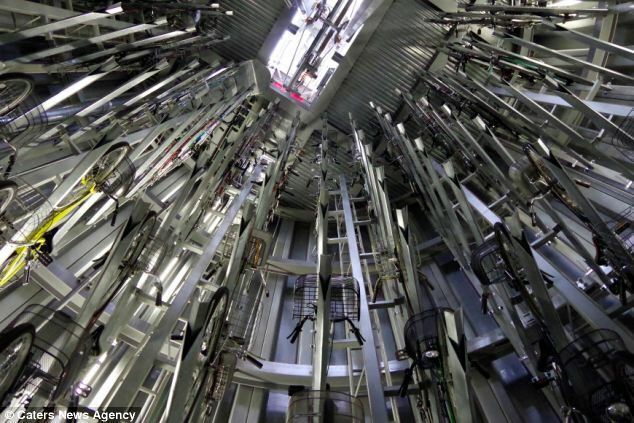 Each garage can hold up to 200 bikes, which means less clutter for the city and less hassle for commuters. Check out the video and the images below to see how it all works.